It’s more than just maintaining an open line of communication. The way you communicate also affects how well you can gain the trust of your client. And in this business of personal finance, trust is key. One of the best ways you can enhance your personal financial management projects is to meet your clients in person. In this age where people are busier and institutions that offer personal finance services are finding more ways to economize, the next best thing is to use video chat. Providing video chat is the closest thing to a one-on-one appointment. It also has the added advantage of being more convenient for your clients since they don’t have to take the trouble to go to your branch or meet your consultants somewhere. If you think about the other alternative, which is discussing matters over the phone, you can see that video chat allows for a richer experience. Your consultants can deliver information better since they can make consultations supported by visual ads. Since each encounter will also be face-to-face, video chat appointments become opportunities for you to build trust with clients. It’s surely better than building trust over the phone and more so if you consider chat and email. While it was clear that text chat was less efficient on building confidence than audio, video and face-to-face, there were still differences among the three on how fast a communication channel built trust over time. The clear winner was of course face-to-face but what came close in second was video chat. Vivocha built its software to revolutionize customer communications. It allows businesses to seamlessly communicate with online customers through video, voice, chat and co-browsing. While Vivocha also includes text and audio chats accompanied by built-in website functionalities such as callback requests or popups that invite visitors to chat with a sales team member, Vivocha counts video chat as one of its main features.The platform allows you to communicate with your clients through high-definition video chat. By providing high quality video, your consultants can offer various financial products and calculate benefits on the spot while also reinforce trust with customers who would prefer speaking in person rather than communicating over email or chat.Vivocha also supports co-browsing which allows your consultants to take control of your client’s browser in order to walk them through certain complex procedures or simply to point them to the right page on your website. 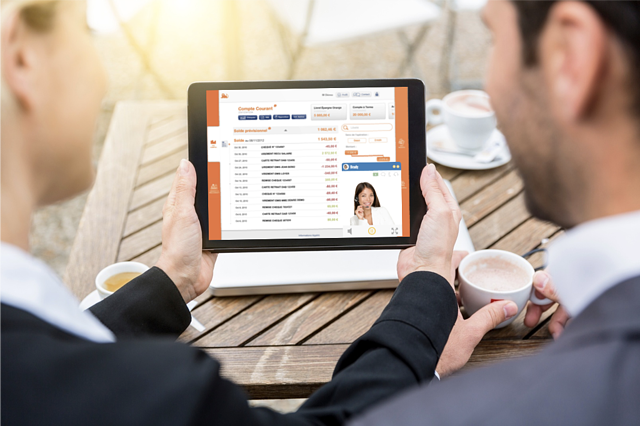 Another useful feature of Vivocha is the screen-sharing option which allows your consultants or agents to show their own screen to the customer. This is particularly handy for demos or presentations or even just walking customers through how to fill in a complicated form. Both co-browsing and screen-sharing features can be activated during video chat. With Vivocha, you can communicate with your customers on video chat on any device whether they are using their mobile phones, tablets or their desktop. Vivocha can be easily deployed on a website and integrated into a mobile app. You can also have the option of recording your video chats which can be used for compliance purposes. Optimizing your customer engagement is also easier since Vivocha allows you to view reports and analytics overall and on a per-interaction basis. Find out how many customers were served in a day, how long each call was, the geographic location of each customer, the transcript of their conversation and much more. Video chat is the next best channel to face-to-face appointments when it comes to building trust. Using a powerful tool such as Vivocha video chat, you can now enhance your personal financial management projects with richer interactions.